The Problem: Heart disease is the number one killer in the United States. Did you know that most of the risk factors for heart disease are completely preventable? Unfortunately people often make two wrong choices: They choose unhealthy foods, and they skimp on exercise—or skip it entirely. Fast food, most prepared foods, fatty and processed meats, butter, cream, ice cream, fried foods, biscuits, cookies, candies, and cakes are all a double whammy on the heart. These foods are high in saturated and trans fat, sodium, and sugar and low in fiber and nutrients. 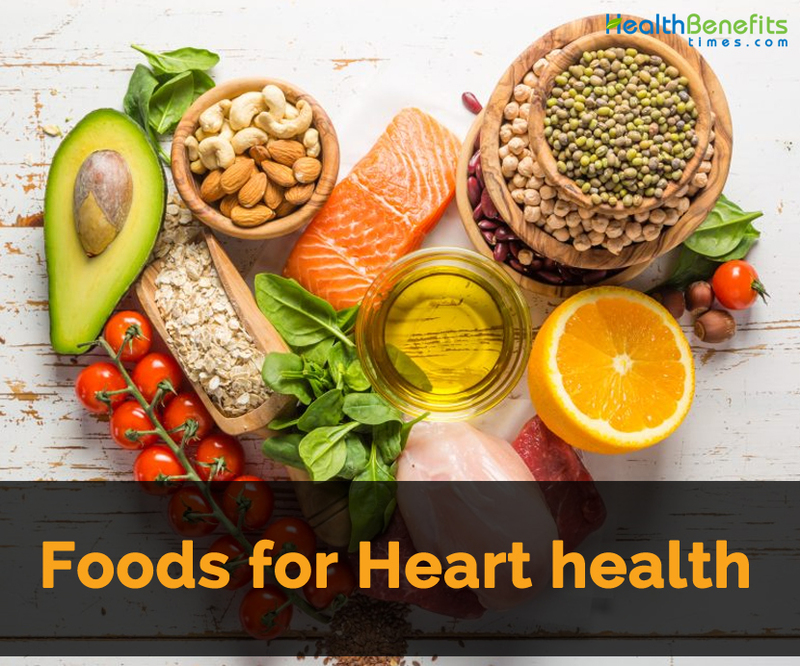 These poor food choices contribute to the risk factors for heart disease, such as high cholesterol and high blood pressure, that can lead to clogged heart vessels and arteries, all of which put a strain on the heart. To make matters worse, these foods trigger the release of harmful stimulants that cause inflammation (swelling) of the arteries. Swollen arteries mean less space for blood to flow, so it’s easier for them to become clogged; vessels become ticking time bombs that prevent oxygenated blood from getting to the heart and the rest of the body. The inflammation simultaneously causes the release of damaging free radicals, resulting in a drastic increase in the risk of heart disease, heart attack, stroke, and peripheral arterial disease. The great news is that by making changes in your lifestyle one can actually reduce your risk for heart disease. Fruits and vegetables: at least 4½ cups a day. All types keeps ticker healthy, but specific recommendations are targeted for heart health. Fish: at least two 3½-ounce servings a week, preferably oily fish like salmon, trout, and herring. Fiber-rich whole grains like whole wheat, oats, oatmeal, whole rye, whole grain corn, and buckwheat: at least three 1-ounce-equivalent servings a day. Limited sodium: less than 1,500 milligrams a day. Look for low-sodium and low-fat varieties of cookies, snack chips, breads, cakes, and baked goods. Limited sugar-sweetened beverages: no more than 450 calories (36 ounces) a week. That’s the equivalent of three cans of soda or 6 ounces of fruit drinks a maximum of three days a week. Eat nuts, legumes, and seeds: five 1-ounce servings a week. Use low-fat/nonfat dairy foods, 2–3 servings daily, if one eat dairy. Limit processed meats like bacon, sausage, hot dogs, sandwich meat, packaged ham, pepperoni, and salami to no more than two 3-ounce servings a week. Limit saturated fat—in butter, cream, full-fat cheese and milk, palm oil, and palm kernel oil—to less than 7 percent of total energy intake. Try small portions of oils for cooking or baking or in dressings or spreads. Choose options that are the lowest in saturated fat, trans fat, and cholesterol, such as canola oil, corn oil, olive oil, safflower oil, sesame oil, soybean oil, and sunflower oil. Stay away from palm oil, palm kernel oil, coconut oil, and cocoa butter. Even though they are vegetable oils and have no cholesterol, they’re high in saturated fats. Although coconut oil does have some encouraging health research, it is premature to recommend it. Choose reduced-fat, low-fat, light, or fat-free salad dressings (if you need to limit your calories) to use with salads, for dips, or as marinades. Avoid trans fat by rejecting margarines that don’t specify 0 grams of trans fat, as well as any product with “partially hydrogenated” ingredients. The best way to combat heart disease is to squash the risk factors. This means attacking heart disease before it becomes a reality, by avoiding foods that increase cholesterol levels, inflammation, blood pressure, and the risk of obesity. Instead, choose foods that increase the body’s immunity and raise the body’s good cholesterol. Although every vegetable can play a part in improving heart health, some vegetables are more beneficial than others. Think of arteries and veins as a giant tunnel system: the more smooth, pliable, and free of clogs, damage, and leaks the tunnels are, the more efficient the system. Keeping the tunnels smooth and like new helps to prevent heart disease. Your ultimate weapons in the prevention of heart disease are the vegetables highest in potassium, B vitamins, antioxidants, and soluble fiber. Potassium counter balances sodium. This makes potassium a major player in the prevention of heart disease. Salt is also a major culprit in clogging the pipes. Since excess salt intake leads to excess water in the blood, there is more pressure in your blood vessels, and your heart has to work harder. This is what we call high blood pressure, or hypertension. Potassium fights the damage sodium does by helping to reduce the risk of high blood pressure. Sodium also increases inflammation, making your blood vessels stiff, and this too makes it harder for blood to pump. Since potassium helps flush out sodium, it also protects the heart by helping keep vessels more elastic and pliable. Fennel, mustard greens, brussels sprouts, broccoli, winter squash, blackstrap molasses, eggplant, bell peppers, potatoes, tomatoes, summer squash, celery, romaine lettuce, cauliflower, turnip greens, asparagus, shiitake mushrooms, kale, carrots, beets, and green beans. Antioxidants protect the heart. The health of our circulatory system depends on antioxidant protection and on keeping inflammation at bay. Antioxidant and anti-inflammatory nutrients can help protect us from cardiovascular disease by protecting our blood vessels from oxidative damage and chronic inflammation. Veggies offers specific phytonutrients, each with different cardiovascular benefits. Phyto- means “plant,” and phytonutrients (a.k.a. phytochemicals) come from plants. Phytonutrients are a relatively recent discovery in the nutrition world, and they are turning out to be really important. It’s been well accepted for many years that people who eat a lot of vegetables and fruits are healthier in many ways. It was believed that this was due to the rich amounts of vitamins and minerals in vegetables and fruits. But it turns out that in addition to the vitamins and minerals, there are thousands of other substances, phytonutrients that are beneficial to humans. In plants, they seem to help form a protective shield against the environment, including preventing disease. Phytonutrients seem to protect us in similar ways. They can repair damage to cells, help build our immune systems, and act as antioxidants. Of course, this means they help protect the cardiovascular system, which explains why “heart” our phytonutrients. As kids, favorite colors were bright and colorful shades of turquoise, green, and pink, so it’s no surprise that our love affair with color continues. Phytochemicals are adored for what its performance to keep us healthy, but also because they are actually responsible for producing the bright colors in fruits and veggies. The purple cabbage, the green spinach, the red bell pepper, and the blueberry can all credit their gorgeous hues to their phytochemicals. Because bright colors produced by phytochemicals signal health benefits, this is where the saying “Eat your colors” or “Eat the rainbow of colors” comes from. It’s also significant that each of these foods contains many different phytochemicals that can tackle different damaging oxidation reactions in our cells. Therefore each phytochemical and each vegetable has a slightly different effect in our bodies. This is why it is important to eat a variety of fruits and vegetables. This means don’t forget about the less popular parsnips and turnips. Research has shown that increasing soluble fiber by 5 to 10 grams a day reduces LDL cholesterol by about 5 percent. Oat bran and oatmeal, as well as psyllium and barley, are rich in beta-glucan, a soluble form of fiber, which has been shown to lower total cholesterol and LDL cholesterol. Fiber lowers cholesterol levels. Fiber is the part of the plant that is not broken down in the intestines by human digestive enzymes. Since it’s not digested, it’s not absorbed. Although soluble fiber is more effective at lowering cholesterol, both soluble fiber and insoluble fiber are good for your health, and most vegetables contain some of each. While there is not a large list of vegetables that are high in soluble fiber, broccoli, brussels sprouts, celery, carrots, cucumbers, beans, dried peas, artichokes, parsnips, sweet potatoes, and turnips are all good for your heart and your digestive system. Soluble fiber is responsible for pulling “bad” LDL cholesterol out of the body. Here’s How to Get It: Eat potatoes, spinach, acorn squash, avocados, and mushrooms for potassium; bell peppers, spinach, baked potatoes (skin included), green peas, yams, broccoli, asparagus, and turnip greens for vitamin B6; dark leafy greens, asparagus, broccoli, beans, peas, avocados, brussels sprouts, cauliflower, and beets for folic acid. Almost all vegetables are good sources of phytonutrients and fiber. It is learned that beans are good for the heart. Black beans are even more exceptional than the typical bean. Just one cup of black beans provides more than 4 grams of cholesterol-lowering soluble fiber. And research shows that higher intake of soluble fiber is linked with lower risk of coronary heart disease (CHD) and heart attack. Although you may think of brightly colored fruits and veggies as the best sources of phytochemicals and antioxidants, black beans are actually one of the best sources of the flavonoid compound anthocyanins, typically known for being abundant in red, purple, and blue produce such as red grapes, purple cabbage, raspberries, and cranberries. The outermost layer responsible for the color of the bean is an incredible source of three anthocyanin flavonoids: delphinidin, petunidin, and malvidin. There are a number of other powerful flavonoids in black beans that are difficult to pronounce and spell, let alone memorize. So don’t worry about knowing their names; the most important thing to know is that these potent phytonutrients act as antioxidants and as anti-inflammatory compounds, and both are critical for overall cardiovascular health. When our blood vessels are exposed to chronic and high levels of oxidative stress (damage) or inflammation, they are at an increased risk for disease development. 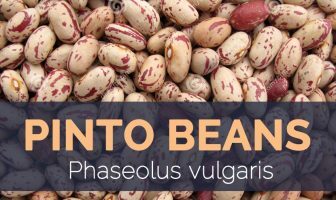 Since black beans are such a stellar food, fabulous at lessening both of these threats, they squash damage that would normally promote disease and thereby decrease the risk of most cardiovascular diseases. Well, imagine no more. One cup of black beans provides about 120 milligrams of magnesium, close to one-third of the daily value, making them a masseuse for insides. They are a good source of folate, which seems to be an important B vitamin for decreasing cardiovascular disease risk, and contain antioxidant minerals like zinc and manganese. All of these factors help keep love muscle in good working order. Note: Black beans are exceptional when it comes to extending an energy boost. They’re also digestive tract supporters (which is a surprise to most people) and diabetes fighters. Animal and laboratory studies are quite consistent in their findings, and studies have shown that black beans inhibit the development of certain cancers, especially colon cancer. Crimini mushrooms, sometimes called brown mushrooms, are a tan or light brown variety like the button mushroom. White button, crimini, and portobello are all the same scientific category of mushroom, Agaricus bisporus. White button varieties are usually taken from select strains that can be harvested at a relatively immature stage of growth. Strains used to produce crimini mushrooms are typically harvested at an intermediate growth stage. Baby bella, mini bella, baby portobello, and portobellini are other names for crimini mushrooms. Portobello mushrooms are crimini mushrooms that have been allowed to grow to full maturity. Crimini mushrooms are packed with heart-healthy potassium, and they contain powerful antioxidant and anti-inflammatory nutrients that protect the heart from oxidative damage and chronic inflammation. They particularly help to combat the risk of cardiovascular disease by protecting the lining of the aorta and by reducing the risk of blood flow problems. Have high cholesterol and want an easy way to reduce levels of all three blood fats (total cholesterol, LDL cholesterol, and triglycerides) and reduce risk of heart disease even more. Eat crimini mushrooms daily over a one- to two-month period. Crimini mushrooms also are an excellent source of B vitamins, so they help keep homocysteine levels in check to keep the heart healthy. There are two keys to reaping the heart benefits of mushrooms. First, store mushrooms properly so they don’t lose their powerful phytonutrients. Discoloration is a sign that mushrooms won’t contain the same powerful heart-protecting properties that they once did. Keep mushrooms refrigerated: an ideal temperature is 38°F (3°C). The second key: Don’t overcook mushrooms. Ideally, sauté them for about seven minutes. Heart will thank you. Swiss chard belongs to the same family as beets and spinach, and has bitter, pungent, and slightly salty flavor. Remember that one of the key factors of heart health is preventing oxidative stress. Sure, chard’s an excellent source of the traditional antioxidants that do this (vitamin C, vitamin E, beta-carotene) and a good source of the minerals manganese and zinc that help scavenge free radicals and prevent oxidative damage. But what keeps our hearts aflutter is that recent research shows that chard leaves contain an array of polyphenol antioxidants, including kaempferol, the heart-protective flavonoid that’s also found in broccoli, kale, strawberries, and other foods. And if our hearts weren’t already beating a bit faster, an additional bonus is that many of the incredible phytonutrient antioxidants in chard also act as anti-inflammatory agents. These beneficial phytonutrients sometimes lower the risk of chronic inflammation by interfering with the action of enzymes that cause it. At other times they intercede at the very first step of inflammation. Since chronic low-level inflammation, especially when coupled with excessive oxidative stress, increases our risk of atherosclerosis and high blood pressure, chard is a key vegetable for lowering the risk of these health problems. For the best-tasting chard and to make sure that the nutrients are retained, choose a bunch that is kept in a chilled display. This will also ensure a crunchier texture and sweeter taste. Look for vivid green leaves that aren’t browning or yellowing. The leaves should not be wilted and shouldn’t have tiny holes. The stalks should look crisp and be unblemished. Note: Chard is one of only three vegetables that we recommend boiling to help reduce its concentration of oxalic acid. Oxalic acid binds to the calcium in the chard and makes it hard to absorb. Slice leaves in 1-inch strips and the stems in ½-inch sections and boil for just 3 minutes. Although colored stems on chard look pretty, one only recommend eating the stems of varieties with white stems; colored stems are very tough. The compounds responsible for garlic’s recognizable pungent odor are a variety of powerful sulfur-containing compounds called thiosulfinates, sulfoxides, and dithiins. They’re also the source of many of garlic’s heart benefits, and they’re certainly worth making a stink over. Although these compounds are found in other members of the lily or allium family, which includes onions and leeks, garlic is king when it comes to keeping your heart healthy. Not only can garlic lower blood triglycerides and total cholesterol by 5 to 15 percent, but garlic’s biggest asset is its unique set of sulfur-containing compounds that protect blood cells and vessels from inflammatory and oxidative stress. Like chard, garlic heads to the root of the problem, working to prevent the activity of molecules that cause inflammation. Ajoene, a sulfur-containing compound in garlic, helps prevent clots from forming inside our blood vessels by keeping blood platelets from becoming too sticky. Hallelujah, garlic. Just in case garlic didn’t already have your heart singing, this veggie also lowers blood pressure. Allicin in garlic blocks the activity of angiotensin II, which makes blood vessels contract. When vessels contract, blood is forced to pass through a smaller space, and the pressure is increased. By blocking the activity of angiotensin II, allicin in garlic is able to help prevent unwanted contraction of our blood vessels and unwanted increases in blood pressure. Garlic also supports healthy blood pressure in a second and completely different way. Garlic is rich in sulfur-containing molecules, and our red blood cells use some of these to dilate our blood vessels and to keep our blood pressure in line. Added bonuses: The vitamin C in garlic protects the heart from damage by shielding LDL cholesterol from oxidation. Since it is the oxidized form of LDL cholesterol that initiates damage to blood vessel walls, a reduction in the levels of oxidizing free radicals in the bloodstream can have a profound effect on preventing cardiovascular disease. Garlic also contains the powerful antioxidants selenium and manganese as well as vitamin B6, which help lower homocysteine, associated with damage to cell walls.